Organising trips which will include accommodation and transportation. 4X4 Toyota Land Cruiser air-conditioned 6 seats + driver. sahara4X4 Land Rover defender 6 seats + driver. Minibuses air-conditioned 12 & 17 seats + driver. Professional drivers and personal guides. Organising bivouacs in nomadic tents. Camel trekking in Sahara Desert. 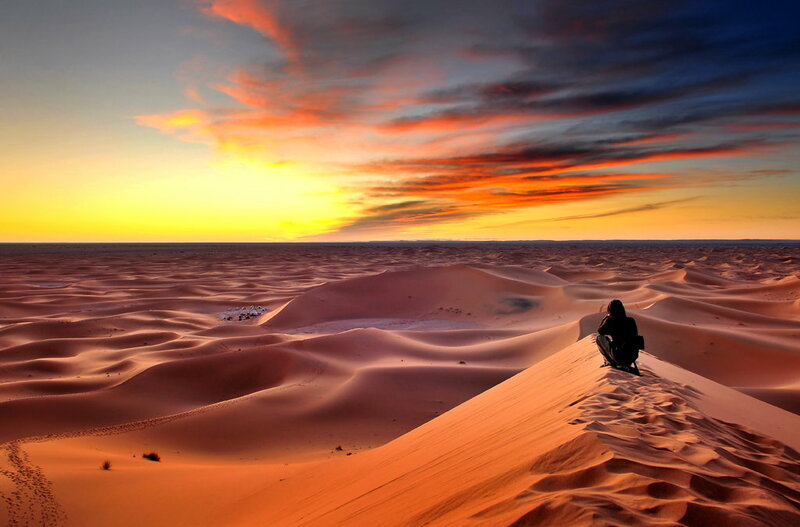 Camel trekking for Sunset / Sunrise in the Erg Chebbi dunes. Hiking in the Atlas Mountains. Biking VTT ,Quads with a support car 4X4. Please we have more information you can talk. We shall ask you for a 15% deposit to ensure the car booking. Once we have received your deposit, we will send you information of receipt of it. Can’t find the place you’re looking for? Just let us know and we will be sure to help.